Corals, sea anemones and jellyfish belong to a group of animals called cnidarians. They have a simple body consisting of a central gut cavity surrounded by tentacles. A jelly-like substance called mesoglea lies between the outer and inner layers of the body. 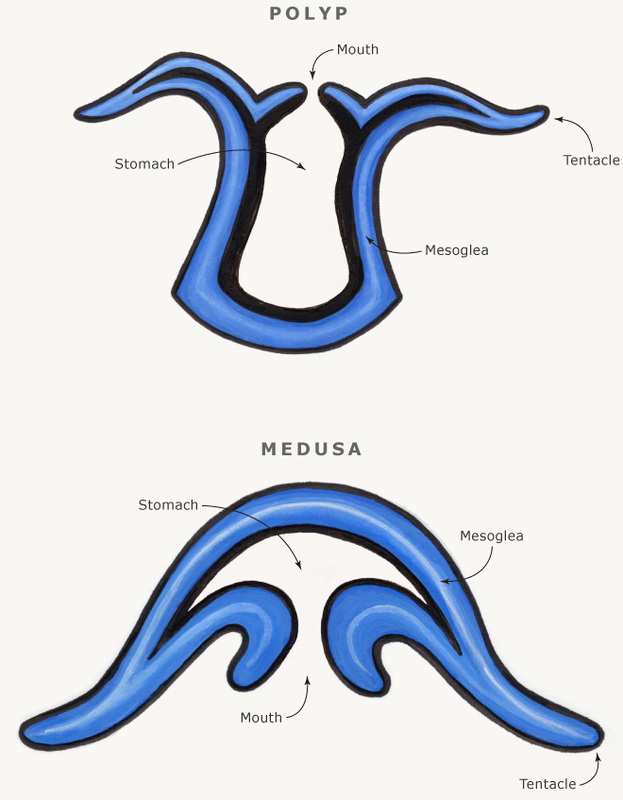 There are two basic cnidarian body shapes: a polyp form, which is attached to a surface; and an upside-down free-floating form called a medusa. Some cnidarians change form at different phases of their life cycle, while others remain in one form for their entire life.